Living the Global City (1996) was a landmark text in the field of Global Studies, offering an analysis of globalization and global/local processes by focussing on specific issues and themes which include community, culture, milieu, socioscapes and sociospheres, microglobalization, poverty, ethnic identity and carnival. In this new collection Eade and Rumford draw together scholars whose work has engaged with the original volume over the last 15 years and the result is a unique and thematically coherent collection of essays which both complements the original book and challenges some of its core assumptions. 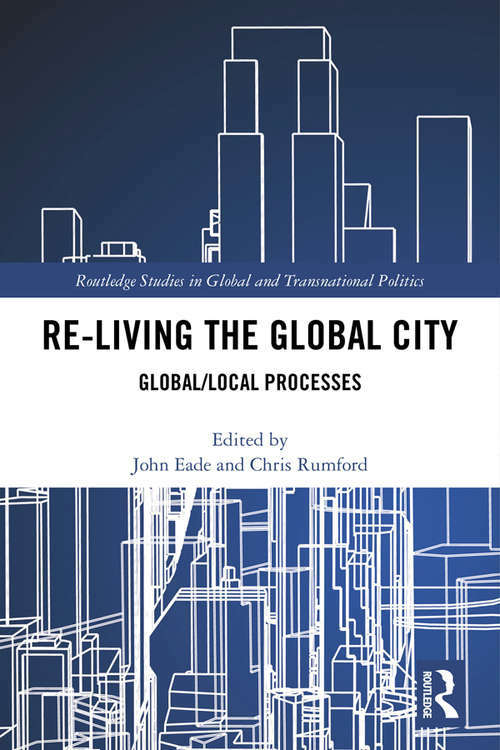 Re-Living the Global City both pays homage to a key text and pushes its agenda into important new areas. After reflecting upon how debates in the field have developed since the original publication, the contributors seek to drive the debate forward through discussion of contemporary themes and issues such as borders and bordering, social movements, community and global connectivity. They consider the ways in which the city produces different experiences of globalization for different people and examine the various accounts of the ways in which new forms of sociality are definitive of contemporary globalization and cosmopolitanism. Drawing together scholars from a range of disciplines including international relations, politics, sociology, urban studies and anthropology, this work will be of great interest to all students and scholars of global studies and globalization. جميع الحقوق محفوظة لهيئة الطرق والمواصلات© 2018. يُدار هذا الموقع من قبل هيئة الطرق والمواصلات، ويُفضل تصفحه باستخدام IE9 أو إصدار أحدث، أو بمتصفح موزيلا فايرفوكس، سفاري، أو كروم.